It is hard not to think that the world is now teetering on the edge of disintegration. Things fall apart. A vulgar reality television host is now President of the United States. Protests are erupting on our university campuses, the “fake news” media is more distrusted than ever, and people are losing faith in liberal democratic institutions. We are now – as it has been said – living in a “post-fact” world, where truth and falsehood have become indistinguishable, and the very foundations of liberalism have been shaken to their core. Alternatives are now being sought to a social and political order built on the enlightenment promises of “life, liberty, and the pursuit of happiness.” The falcon can no longer hear the falconer. In such times it is a temporary relief to take a visit to the Supreme Court of Canada. On the 35th anniversary of the Charter it stands as a healthy reminder that some of our most august institutions remain unscathed by these wider political tremors. 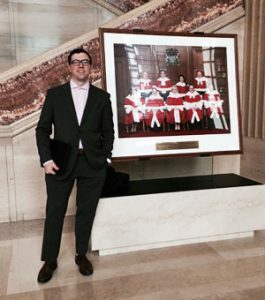 I was afforded just such a reminder on March 20th, when I traveled to Ottawa to hear the case I had been working on argued before the nine Justices of the Court. McLachlin. Moldaver. Abella. Rowe. Cote. Wagner. Karakatsanis. Gascon and Brown. All were there to hear the arguments in a case called The Republic of India v Badesha (although Brown was not physically present and watched on from a remote location). The case involved the grisly matter of what is now popularly referred to as an “honour killing.” The two respondents – Sujit Badesha and Malkit Kaur Sidhu – were accused of orchestrating and paying for the murder of Ms. Sidhu’s daughter, Jassi back in the year 2000. It seems that Jassi refused to comply with her parents’ desire that she marry a 60+ year old business associate of Mr Badesha’s. Instead of adhering to her parents demands, then, she fled to India to marry a man she had recently fallen in love with – a handsome young rickshaw driver named Mithu. It was a Romeo and Juliet story that would, like Shakespeare’s titular characters, end in tragedy. When Mr. Badesha and Ms. Sidhu found out about the marriage, they allegedly hired a team of hitmen to kill Jassi for having dishonored the family name. These men (allegedly) tracked Jassi down, cut her throat, and dumped her body in a local ravine. The issue in the case surrounded whether extraditing Badesha and Sidhu to face charges in India for the murder of Jassi would violate their right to life, liberty and the security of the person under the Charter. While India had offered assurances that the two would not be mistreated on arrival, the evidence showed that the conditions in Indian prisons are, frankly, abhorrent. Over-crowding, a lack of potable water, a lack of access to medical resources, and sexual assault are all endemic problems within the Indian prison system. The constitutional question, then, was this: can diplomatic assurances make up for all these problems? John Norris, a lawyer and professor here at the law school, stood up to argue our case before the court. He urged the Justices to consider the possibility of holding a trial in Canada as a viable alternative to extraditing the pair. It was argued that if this option were pursued, the only thing that would be lost is the opportunity to hold a trial on Indian soil (where, admittedly, the crime actually took place). “That’s a pretty big loss,” Just Moldaver snapped back, leaning forward in his chair. But Mr. Norris – as a seasoned veteran of the Court – gently reminded Justice Moldaver in response that most extradition cases do not involve crimes that are sufficiently connected to Canada to make a Canadian trial a viable option. It is only in those rare cases where this alternative is available that a court would be obliged to take this into consideration. With only five minutes to speak before the Court, this was the most ground that could be made – but it was a proud moment for me (having worked on the file), the Asper Centre, and the legal profession to see Mr. Norris, as well as the other interveners, travel to Ottawa to speak on behalf of the Charter. His efforts, as well as the efforts of all the interveners, were a stirring tribute to what is now the thirty-fifth birthday of our rights and freedoms. While the outcome of the case remains uncertain, it was heartening to see the Justices interact with the parties’ submissions, carefully consider the evidence, and grapple with Canada’s international obligation to human rights. On the Charter’s anniversary it was a reminder as to why we have a Charter in the first place; to provide those subject to state power the chance to be heard. It is the right to have our most fundamental interests thoughtfully considered, and the opportunity to pause the inexorable force of the state – if only for a moment. It is, in short, the embodiment of the idea that all those subject to state power are to be treated fairly, justly, and with the human dignity that they deserve. Even Mr. Badesha and Ms. Sidhu. Patrick Enright is a second-year JD candidate at the University of Toronto Faculty of Law and was a student in the Asper Centre half time clinic in the Winter 2017 term. This entry was posted in Commentary, Supreme Court of Canada and tagged Advocacy, Henry, SCC, Supreme Court of Canada. Bookmark the permalink.